World AIDS Day, is observed annually on 1 December every year, and is dedicated to raising awareness of the AIDS pandemic caused by the spread of HIV infection. Government and health officials observe the day, often with speeches or forums on the AIDS topics. Since 1995, the President of the United States has made an official proclamation on World AIDS Day. Governments of other nations have followed suit and issued similar announcements. AIDS has killed more than 25 million people between 1981 and 2007, and an estimated 33.2 million people worldwide live with HIV as of 2007, making it one of the most destructive epidemics in recorded history. 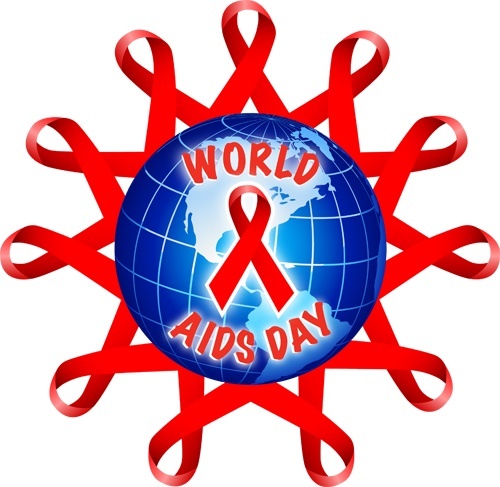 Despite recent, improved access to antiretroviral treatment and care in many regions of the world, the AIDS epidemic claimed an estimated 2 million lives in 2007, of which about 270,000 were children.World AIDS Day was first conceived in August 1987 by James W. Bunn and Thomas Netter, two public information officers for the Global Programme on AIDS at the World Health Organization in Geneva, Switzerland. Bunn and Netter took their idea to Dr. Jonathan Mann, Director of the Global Programme on AIDS (now known as UNAIDS). Dr. Mann liked the concept, approved it, and agreed with the recommendation that the first observance of World AIDS Day should be 1 December 1988. Bunn, a broadcast journalist on a leave-of-absence from his reporting duties at KPIX-TV in San Francisco, recommended the date of 1 December believing it would maximize coverage by western news media. Since 1988 was an election year in the U.S., Bunn suggested that media outlets would be weary of their post-election coverage and eager to find a fresh story to cover. Bunn and Netter determined that 1 December was long enough after the election and soon enough before the Christmas holidays that it was, in effect, a dead spot in the news calendar and thus perfect timing for World AIDS Day.On 18 June 1986 KPIX’S “AIDS Lifeline” (a community education project initiated by Bunn and KPIX Special Projects Producer Nancy Saslow) was honored with a Presidential Citation for Private Sector Initiatives presented by President Ronald Reagan. Because of his role in “AIDS Lifeline” Bunn was asked by Dr. Mann, on behalf of the U.S. government, to take a two-year leave-of-absence to join Dr. Mann, an epidemiologist for the Centers for Disease Control, and assist in the creation of the Global Programme on AIDS for the United Nations’ World Health Organization. Mr. Bunn accepted and was named the first Public Information Officer for the Global Programme on AIDS. Bunn and Netter conceived, designed, and implemented the inaugural World AIDS Day observance – now the longest-running disease awareness and prevention initiative of its kind in the history of public health. The Joint United Nations Programme on HIV/AIDS (UNAIDS) became operational in 1996, and it took over the planning and promotion of World AIDS Day. Rather than focus on a single day, UNAIDS created the World AIDS Campaign in 1997 to focus on year-round communications, prevention and education. By the mid-1960s Allen was writing and directing films, first specializing in slapstickcomedies before moving into dramatic material influenced by European art cinemaduring the 1970s. He is often identified as part of the New Hollywood wave of filmmakers of the mid-1960s to late ’70s. Allen often stars in his films, typically in the persona he developed as a standup. Some best-known of his over 40 films are Annie Hall (1977), Manhattan (1979), Hannah and Her Sisters (1986), and Midnight in Paris(2011). Critic Roger Ebert described Allen as “a treasure of the cinema”.Allen has been nominated 23 times and won four Academy Awards: three for Best Original Screenplay and one for Best Director (Annie Hall (1978). He has more screenwriting Academy Award nominations than any other writer. He has won nineBritish Academy of Film and Television Arts (BAFTA) Awards. Allen performs regularly as a jazz clarinetist at small venues in Manhattan.] In 2011, PBS televised the film biography, Woody Allen: A Documentary, on the American Masters TV series, covering biographies of actors and writers who have had a profound impact on the nation’s popular culture.